KHARTOUM (Reuters) - At least eight people were killed in protests across Sudan on Thursday as thousands took to the streets against soaring prices, with some calling for the overthrow of President Omar al-Bashir, officials and witnesses said. Some of the demonstrators chanted: "The people want the fall of the regime" - a slogan used in the "Arab Spring" protests that unseated rulers across the Muslim world in 2011. Police said "limited" protests in Khartoum had been contained. 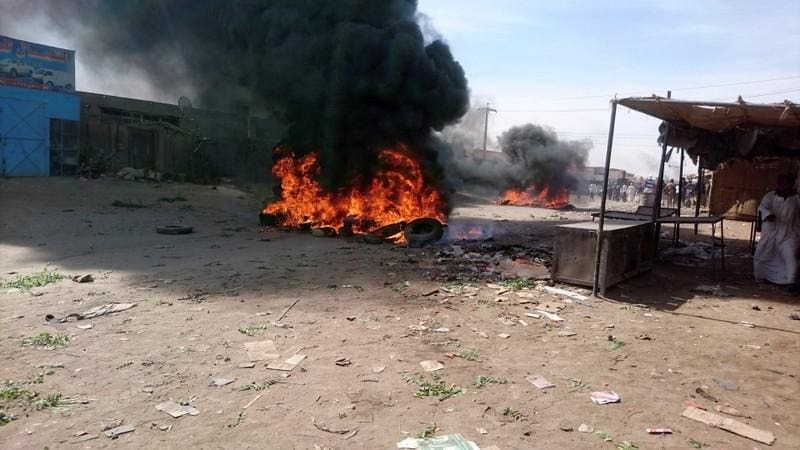 In the northern city of Dongola, protesters set fire to the local offices of Bashir's ruling National Congress Party, witnesses said. To the northeast in Atbara, they hid their faces behind scarves as they came out for a second day, chanting "freedom" and setting car tyres alight, video footage showed.